​Paris Saint-Germain are reported to be considering a move for David de Gea, as the Spaniard nears the final year of his Manchester United contract with no immediate solution on the horizon. Talks over a new deal have ​trudged on throughout Ole Gunnar Solskjaer's tenure, but although the Norwegian's permanent appointment has buoyed the club in recent weeks, ​The Independent report that de Gea is still some way from putting pen to paper on renewed terms. At the centre of the hold-up is the 28-year-old's wage demands, as he is reported to want a £350,000-a-week deal that put him the among highest paid players at the club, better reflecting his status as one of the best goalkeepers in the world. ​United, it seems, are reluctant to go that high, and that's where PSG come into the fray. The French champions are thought to be chasing a new goalkeeper as current first-choice Gianluigi Buffon turns 42 next year, and are becoming increasingly encouraged over the prospect of signing de Gea. The news comes as it emerges that ​Ander Herrera could be on his way to the French champions on a free transfer, but it should be noted that the Spain keeper is thought to have more than a few reservations than his compatriot over spending the prime years of his career in Ligue 1. 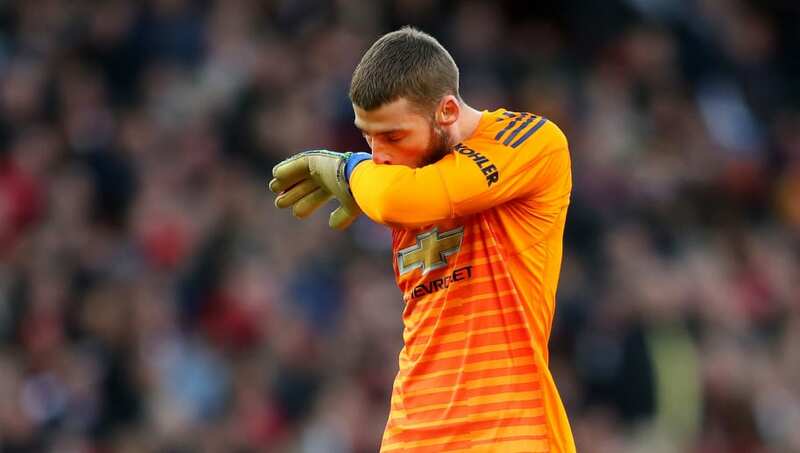 In any case, it should be an interesting few months as far as de Gea is concerned, and you can be sure United will be doing all they can to prevent the departure of their number one.